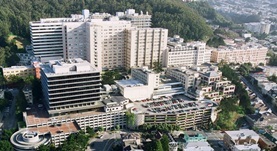 Dr. Eric Huang graduated the medical school of National Taiwan University and completed both his residency and fellowship program at the UCSF. He is specialized and also board certified in Pathology. Dr. Huang is affiliated with the UCSF Medical Center and during his career, he has published three writings of medical interest in partnership with other doctors. Dr. Eric Huang has contributed to 3 publications. Shang, Y.,Huang, E. J.; Brain Res.. 1900 Jan 01. CCR2 deficiency impairs macrophage infiltration and improves cognitive function after traumatic brain injury. Hsieh, C. L.,Niemi, E. C.,Wang, S. H.,Lee, C. C.,Bingham, D.,Zhang, J.,Cozen, M.,Charo, I. F.,Huang, E. J.,Liu, J.,Nakamura, M. C.; J. Neurotrauma. 2014 May 09. Extensive FUS-immunoreactive pathology in juvenile amyotrophic lateral sclerosis with basophilic inclusions. Huang, E. J.,Zhang, J.,Geser, F.,Trojanowski, J. Q.,Strober, J. B.,Dickson, D. W.,Brown, R. H.,Shapiro, B. E.,Lomen-Hoerth, C.; Brain Pathol.. 2010 Jun 29.